Custom Earpiece, now Black Diamond Radio, started in 2002 with a dedication to quality custom molded products and a commitment to customer service. We quickly learned that a customer service oriented company was sorely needed in the two way radio accessory market. It is in this market we saw immediate and rapid growth. 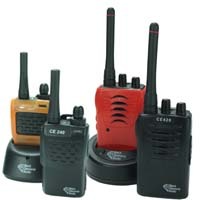 Now, as a leading manufacturer of two way radio products we bring you quality, innovation, comfort, ease of use. All because we have a commitment to customer service. Our policy is to treat you the way we would want to be treated. We are always open to suggestions, we thrive on your feedback and we are committed to you. Black Diamond Radio, the company that will never give you an auto attendant.